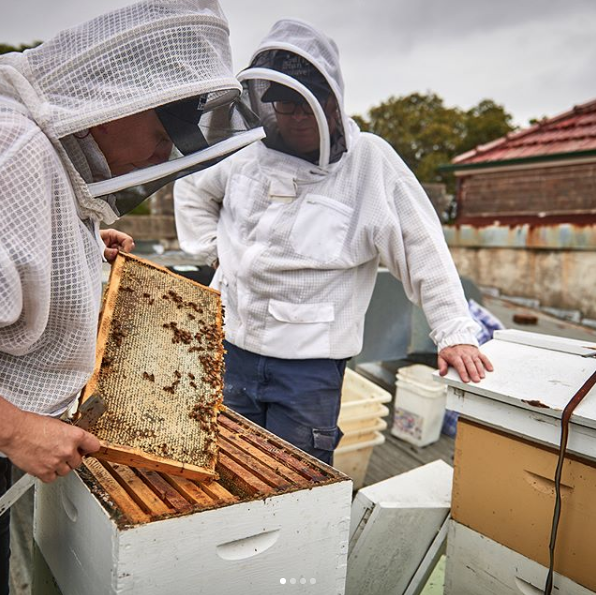 Many Sydney-siders may be unaware that there are urban beehives hiding in our parklands, our neighbours backyards, community gardens, and even on local businesses rooftops! 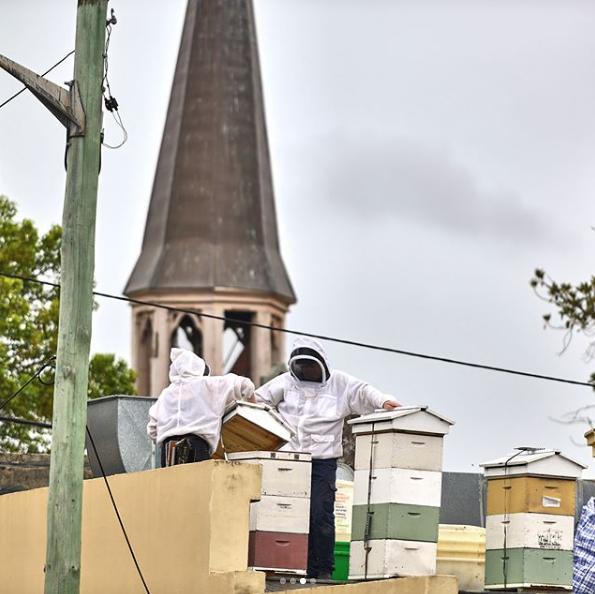 They may not be the standard fuzzy household pet, but beekeeping in our cities is on the rise thanks to a little business doing big things encouraging locals to band together to fight the decline of this vitally important threatened insect. Let us introduce you to The Urban Beehive. Driven by two passionate beekeepers - Vicky Brown and Doug Purdie - The Urban Beehive are helping raise awareness of the plight of the honeybee and protecting local bee populations against threats by popping up beehives across our city (and letting us reap the benefits by tasting the delicious honey along the way). We spoke with one half of The Urban Beehive, Co-Director Vicky Brown, about why there is such a need for urban beekeeping in the big city. How did your passion for beekeeping begin? Honeybees are fascinating creatures and I had always wondered about what was inside a beehive. Every country apart from Antarctica has bees, so it was a great way to have a learn a skill while getting to see other parts of the world (luckily, Australia has some of the best beekeeping in the world). It’s a way of life which gives back to the environment and I’m very lucky to be able to do this as my job. My knowledge of bees came from working on Kangaroo Island and then with other mainland beekeepers. Over the past 18 years, I’ve found ways which work best for me and my bees. Where do the bees come from that you use in your hives? Doug and I collect swarm during springtime and also split our healthy hives to populate new beehives. We also often get called to rescue beehives from buildings, possum boxes and trees which are getting felled. Why is there such an importance for urban beekeeping in the big city? Having bees in local environment contributes to the pollination of these areas, plus you get to taste what the local flora tastes like when you harvest the honey! Each suburb has a variety of flora and as nectar from these plants makes honey this is what make up the different flavours throughout the seasons. What are some of the biggest challenges you have faced with beekeeping in such a densely populated area? 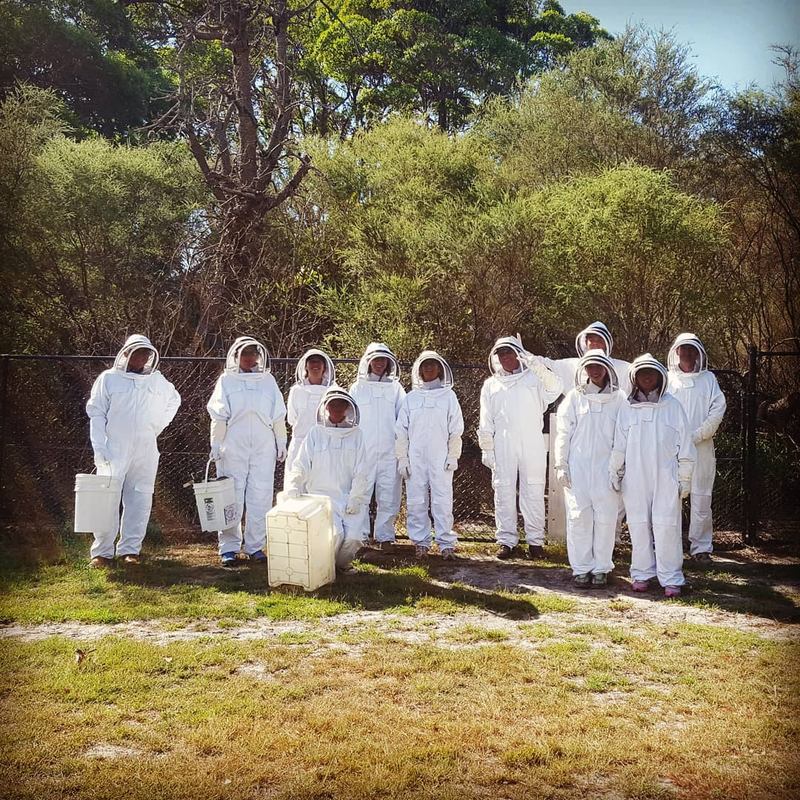 Educating other beekeepers about the dangers of not inspecting the health of their bees is important as it can affect every beekeeper in Sydney. There have been several outbreaks of American Foul Brood and regular inspections are now mandatory with new legislation introduced by The Department of Industries. Also getting gardeners to limit or reject using pesticides in their gardens is a challenge but awareness around bees is growing and people are starting to look for alternatives. We read on your blog that you ordered a queen bee by post! How does that work? What suggestions would you have for somebody who would be looking to start their own urban beehive? If you are wishing to become a beekeeper yourself the first step would to do a beginner’s course or join your local bee club. It's really important to get some knowledge of bees if you have no prior experience. You can find the club most local to you on this website. Clubs give you to the chance to talk to other beekeepers in your area who can help with local knowledge with the different seasons and can help you when first starting out with bees. We run beginner’s courses in Centennial Parklands during the warmer months. It is a one-day course with lots of hand on practical experience, giving new beekeepers the confidence to inspect and harvest the bees once they are settled in their new home. More information can be found here. What can the everyday person do to help contribute to stopping the decline of bees? Planting a bee friendly garden is something most people can do to help. Winter flowering plants are great for pollinators in urban areas and really gives them a boost during the cold months. Building a native bee hotel is also a great way to help the smaller native bees who do not produce honey. Also not using pesticides in your garden. If you don't have a garden you can help support beekeepers by only purchasing local honey, it always tastes better too! What are your favourite bee fact/s? 1. Worker honeybees dance (it’s called the waggle dance) to communicate and they also like to take naps sometimes. 2. Honeybees see colours differently to us and it’s like Ultra Violet, they also have furry eyes. 3. Drones hang out in specific Drone Congregation Areas, such as in a park or service station, waiting for a virgin queen to fly by. At The Goods Tube, #thebrandsweworkwith must value original thought, surprising creativity, and ingenious invention. 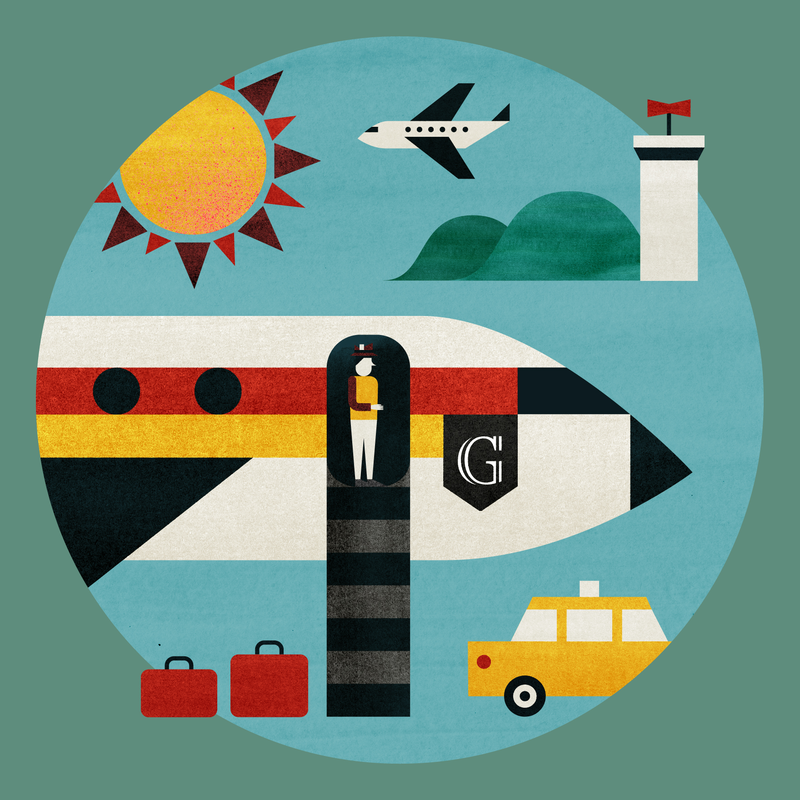 Every product we choose has a story to tell, a reason for being and values that link closely to ours. For more on The Urban Beehive, you can visit their website here. 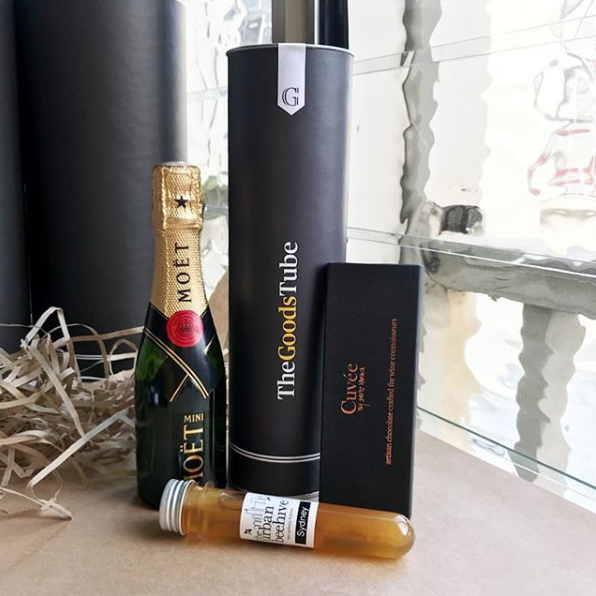 Stay up to date on the latest Goods Tube news! The Urban Beehive honey is often found in our custom corporate tubes! Let us create a custom tube just for you!